Family History Month is drawing to a close, but we're not slowing down adding new databases to the IGS website! Here are the latest additions. This index was created from the original bound volume at the Monroe County History Center in Bloomington. It is one of only three bound volumes of tax duplicates in existence and the only volume prior to 1900. Contributed by Randi Richardson. An index of Orange County Will Book 3. Submitted by Randi Richardson. - Students of Brick School, Marshall County, Indiana (1908). This school was in West Township. Submitted by Meredith Thompson. An index of all of the people listed as either black or mulatto in the 1850, 1860, and 1870 census for Monroe County. Submitted by Randi Richardson. 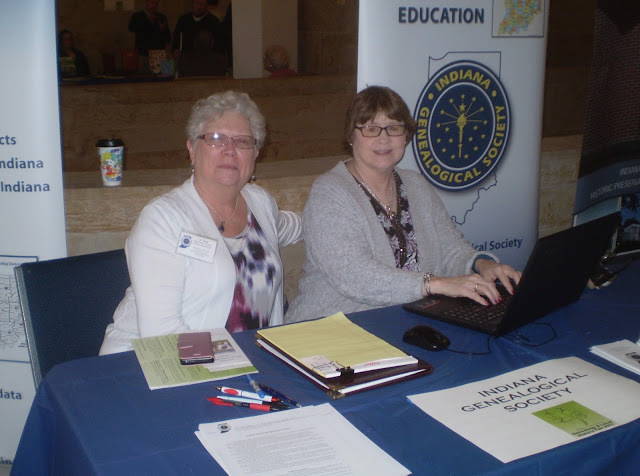 Directors Lou Ann Clugh and Donna Adams joined Corresponding Secretary Ron Darrah in staffing the IGS table on Saturday for the State Library Genealogy Fair. A good time was had by all. IGS encourages all of the state's genealogy groups to reserve a free publicity table at the annual event. The Civilian Conservation Corps employed thousands of Hoosiers during the 1930s. 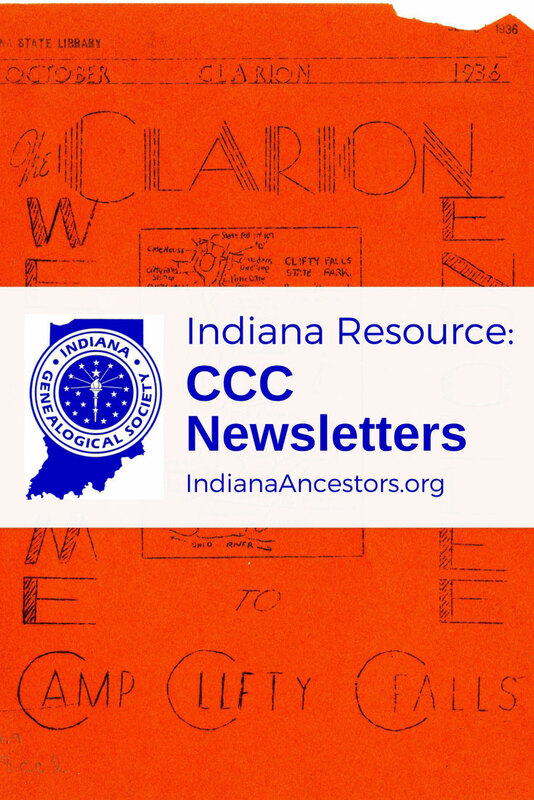 Nearly all the CCC camps in Indiana had newspapers/newsletters, and many of these are newly digitized at the Indiana State Library. ISL notes that they will be adding to the collection, so check back regularly! 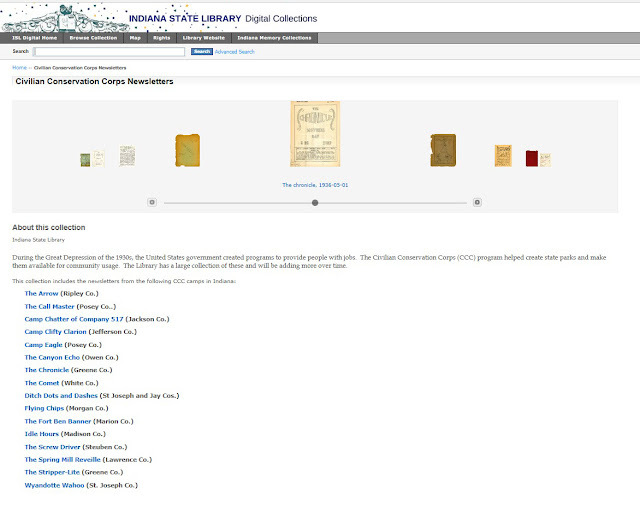 You can use the collection on the ISL website. I am interested in locating decedents of Jesse and Elizabeth Preble. Jesse was the son of Bernard and Elizabeth (Maddox) Preble (Pribble). They were living in Olean, IN, in 1833. Jesse was a child at the time. How do I find a name of a child adopted in 1926. It is very important that we find the name of the child prior to his adoption This is in regards to my father. His mother/father that adopted him were Forrest Orval Bales and Jeanette Pein. This is all the information I have on my father, but his mother, who I believe lost custody, was Viola Willoughby or Wade; she had many last names. She was not one who could truly be followed because of the names and so many changes in her birth year, but a census taken in the 30's shows that she was born in 1908. I pray you can help. She may have used a false name for the birth father. Congratulations to the Pike County Historical Society! They just received Digitization Kit #28 from IGS. We understand that several groups in that area now operate out of the Museum building, and that equals many volunteers to scan local documents. 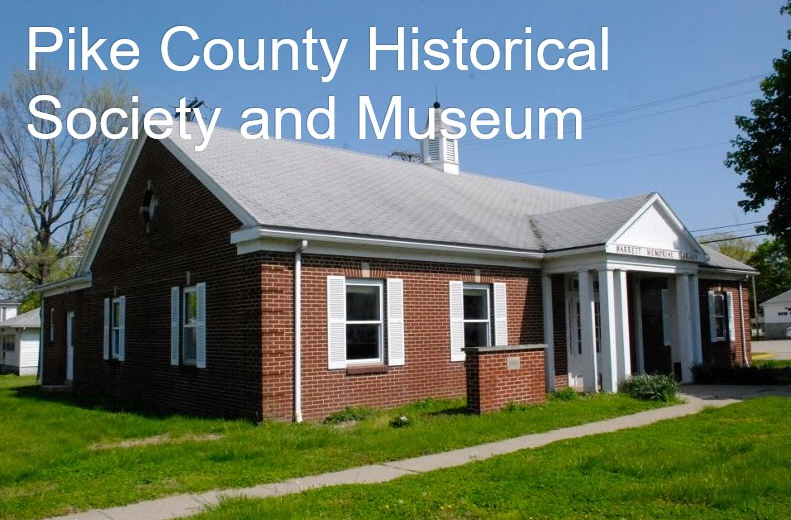 We look forward to seeing lots of excellent Pike County resources on our website--and all FREE to researchers! Does your organization have Indiana genealogy materials that need digitized? Consider applying for a grant through IGS' Indiana Genealogy Digitization Project. Your organization could receive a scanner, laptop computer, and related accessories to help you digitize those documents. Details are on the IGS website. I am doing genealogy research, and going back several generations, we had family in the Dearborn County area - Guilford to be specific. Some information indicates that a great grand uncle was a Veterinary surgeon. I have not been able to turn up much on him. Is there a Indiana Veterinary Association with records going back to the early 1900's? Thanks. I am searching for the parents of my gr-gr grandmother, Caroline Ross, who was born in Jackson, Greene County, IN, on March 3, 1852 (according to her obituary). I have a lead/theory based on census records but need some type of record to prove it. I believe her mother was Martha E Ross, daughter of James P Ross and Rebecca (Miller) Ross. I believe Caroline's father was Aquilla Edington (Eddington). Caroline was born before Martha and Aquilla were married. I do have a DNA match with an Edington descendant which possibly proves my theory. Any help will be greatly appreciated. Thank you for your help. IGS just delivered Digitization Kit #27 to the Jasper County Historical Society. 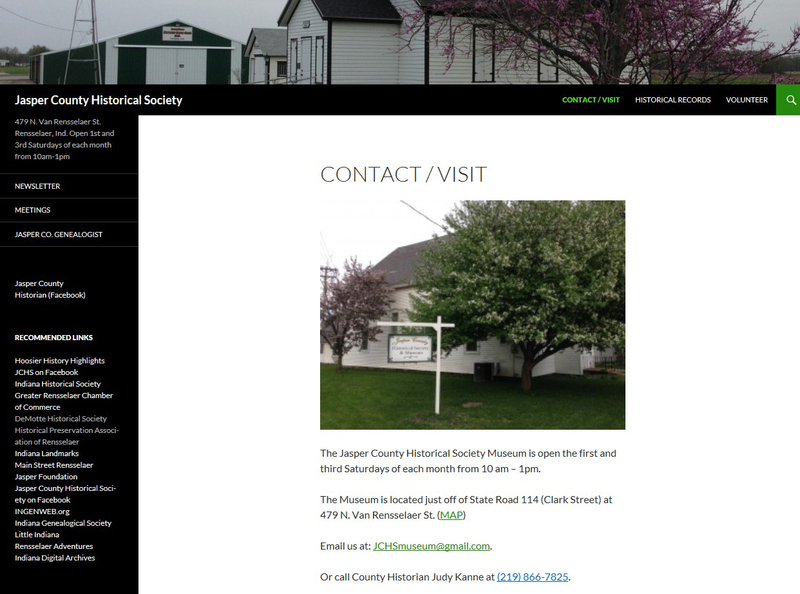 Be on the lookout for lots more great resources out of that area--and be sure to visit their Museum in Rensselaer. Does your organization have genealogical materials that need digitizing? IGS would love to help! 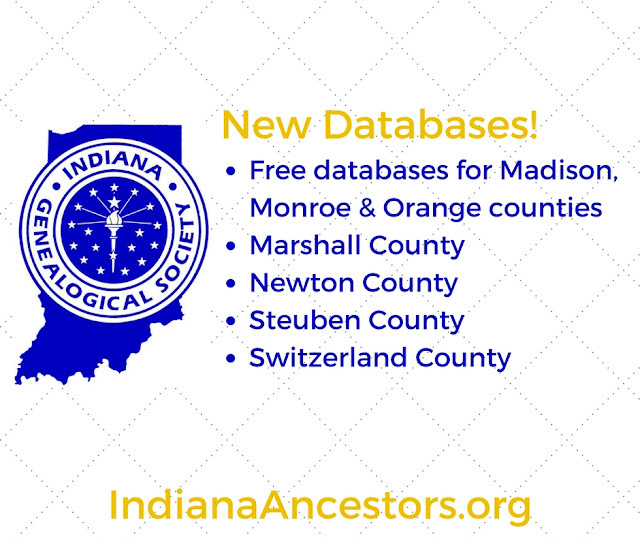 Apply today for an Indiana Genealogy Digitization Project grant. Your group could receive a new laptop computer, flatbed scanner, and storage device. Details and application are on the IGS website. 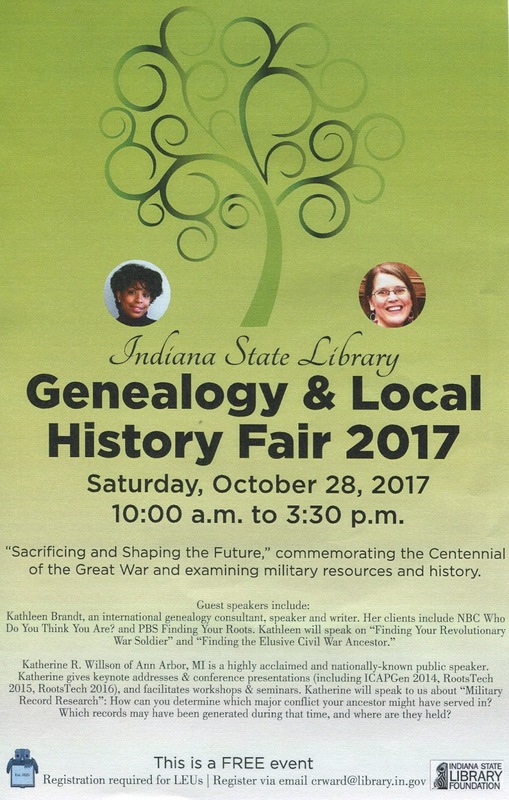 The Indiana State Library will host the annual Indiana Genealogy and Local History Fair in downtown Indianapolis. Admission is free and open to the general public. This year’s theme is “Sacrificing and Shaping the Future,” commemorating the Centennial of the Great War and examining military resources and history. Highly acclaimed, internationally known speakers and genealogy consultants, Kathleen Brandt and Katherine R. Willson, will present.